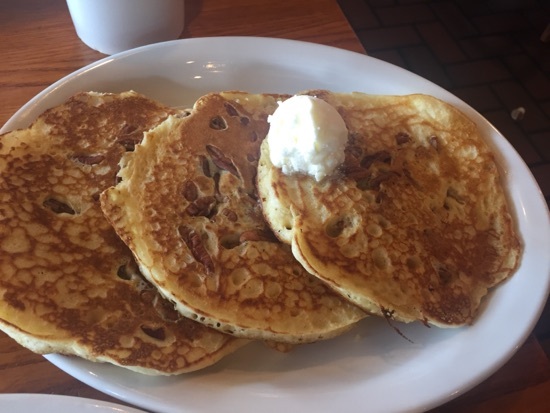 We decided to head out for breakfast this morning, I've been looking forward to Cracker Barrel breakfast! 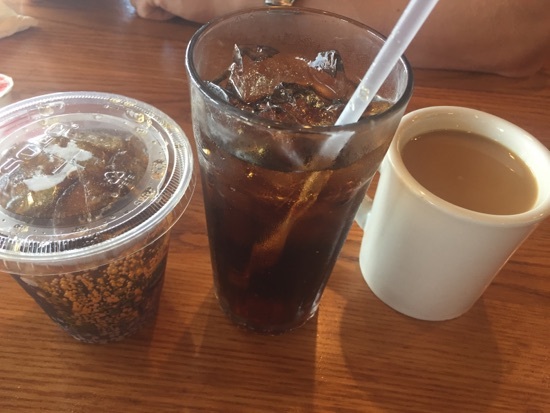 DD and I had a Coke and DH had a coffee. DH and I both ordered momma's big breakfast. 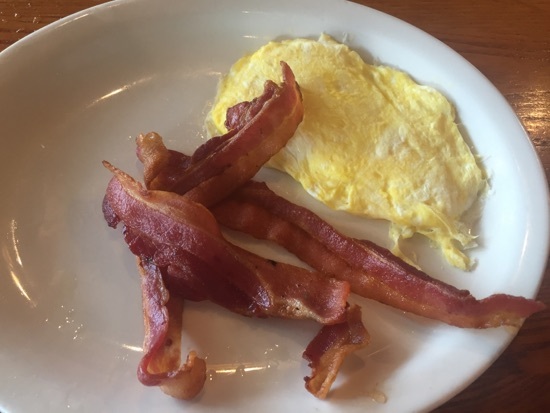 I had it with scrambled eggs and bacon. 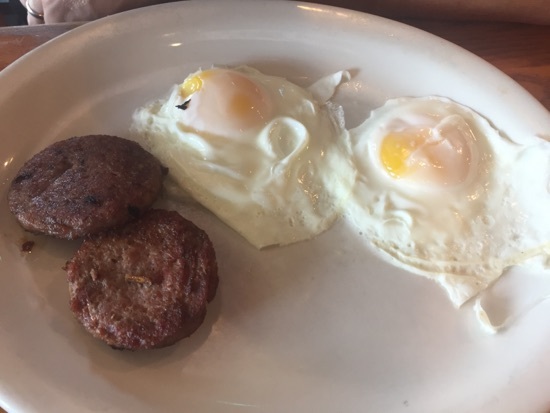 DH had eggs cooked sunny side up and sausage. It came with 3 pancakes. We both got pecan pancakes. These are amazing! Best pancakes I've ever had! They come with a bottle of syrup to pour on you's elf. 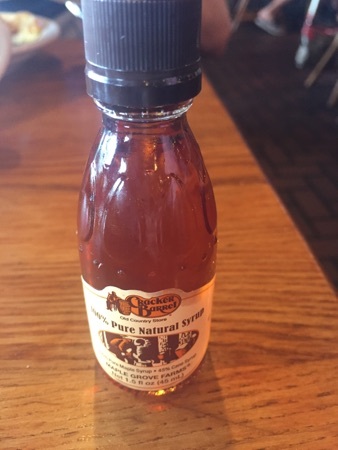 This syrup is really good, it's been warmed so is really runny. DD had the kids pancakes. 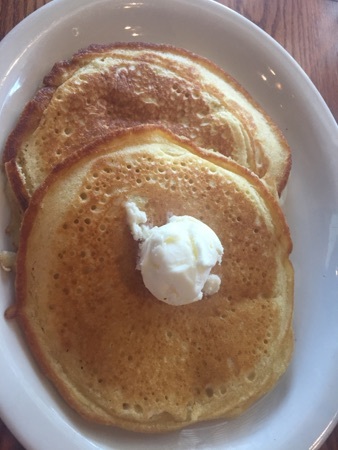 This is 2 buttermilk pancakes and ate huge for a child's serving. 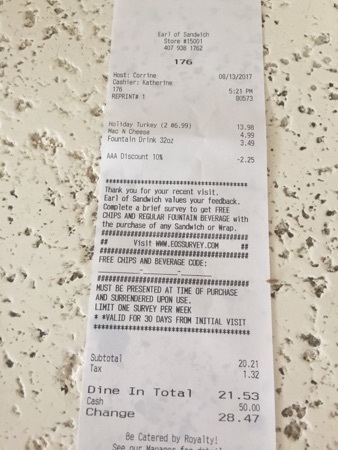 The total came to $31.65. Breakfasts not cheap but it will hopefully keep us going through until dinner. As we suspected we didn't need lunch and spent the afternoon in Hollywood studios. We stopped off for a snack mid afternoon. 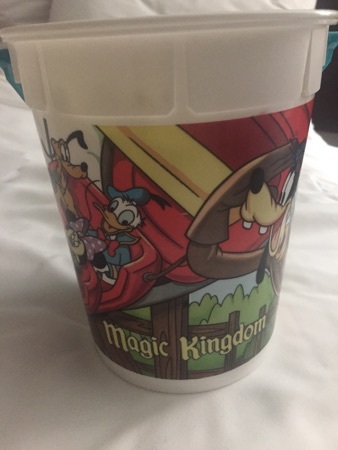 We filled our refillable popcorn bucket for $1.50. DH got a coffee for the counter opposite toy story mania. 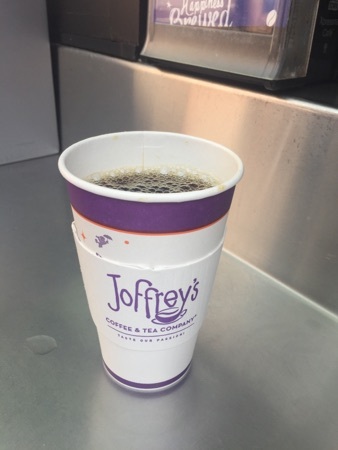 We really enjoy joffrey's coffee and wish we could buy it somewhere to bring home! 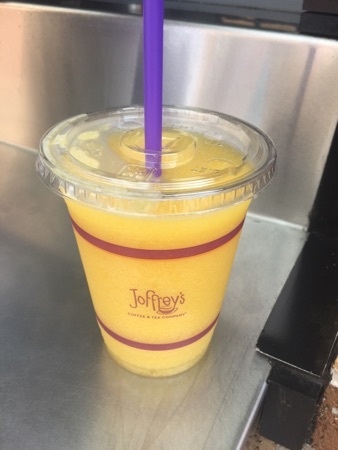 DD and I got a frozen passion fruit drink to share. Absolutely love these! This was $5.49. 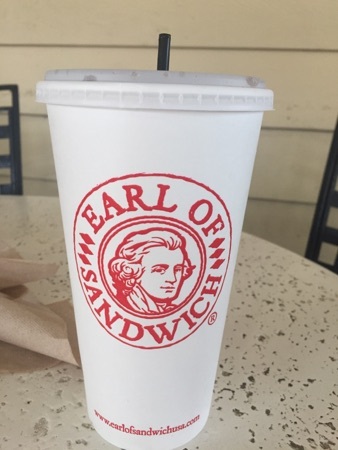 For dinner we decided to drive down to Disney springs and go and see the Earl. We got a large soft drink to share between us. 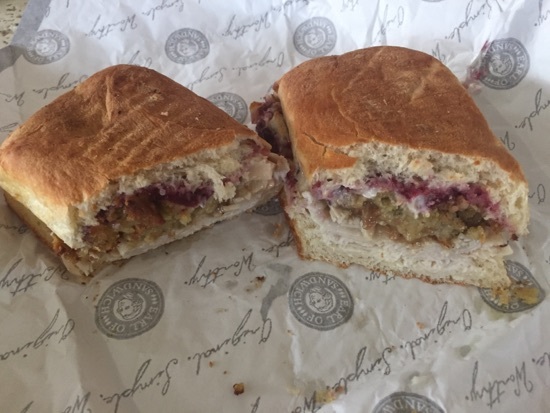 DH and I both got a holiday turkey sandwich. These are absolutely delicious. There was loads of filling! It's turkey, cranberry and cornbread stuffing. DD had a Mac and cheese. 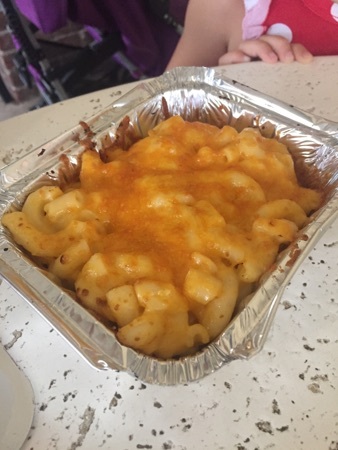 We all agree this is the best Mac cheese we've ever tasted and there's never any left! We used our DVC discount and the total came to $21.53. DD had wanted to go to T-Rex for dinner but we weren't particularly impressed by the food last time so we decided to surprise her and head there for dessert. I used our landrys card and we were seated with a 10 minute wait which considering the amount of people waiting for tables was pretty good. We ordered a Coke each and the chocolate extinction to share. This was 4 pieces of chocolate fudge cake with caramel filling, served with ice cream and marshmallow topping covered with chocolate sauce and caramel sauce with butterfinger pieces. 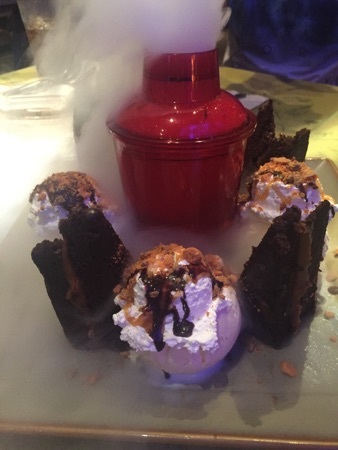 The container in the middle contained dry ice so looked like it was smoking, it was very impressive. The cake was really fudgy and rich. We almost managed to finish it. 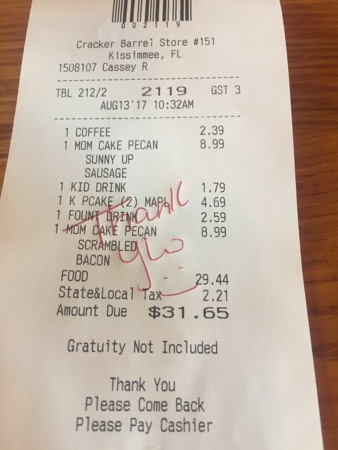 The cake was $17.99 and our total with drinks was $27. 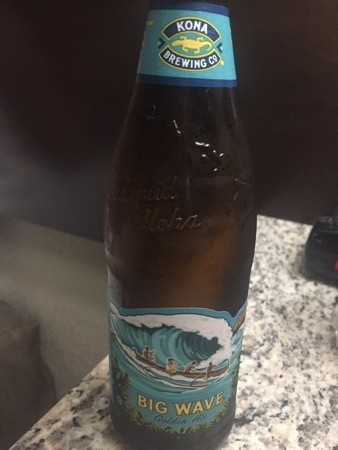 After a few hours looking round Disney springs we came back to our hotel and had a few drinks, DH had a couple of the beers that we bought in publix. 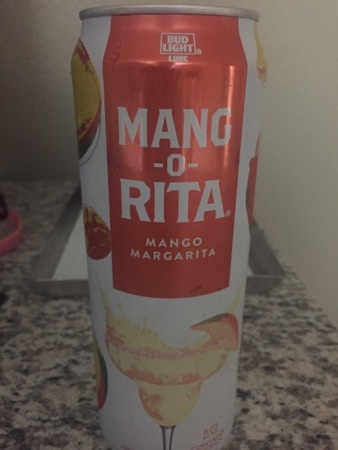 I had a mango-Rita. These are really good, taste like fizzy mango! Lovely to sip away at while planning tomorrow's fun and watching very old episodes on friends. We weren't too impressed by the food offerings at Cracker Barrel, although I do love the shop. We do love sandwiches from the Earl, very tasty. The dessert in T-Rex looks scrummy. New Photo Added by missdopey - 14 Aug 17 2:36 PM.